The ANS Tivoli is a custom-made wooden pedicure spa that features a beautiful, duo-tone color design. Impress your customers with the sharp craftsmanship and stylish look of this sophisticated spa. This modern pedicure spa is acetone-resistant and includes a protective gel-coating that guards the spa and sink from rust and corrosion. The ANS Tivoli features an adjustable footrest, polished chrome hardware, stainless steel shower hose, built-in LED color therapy light, FREE matching pedicure stool. onto your spa. Optional suction vents can also be installed on this beautiful pedicure spa. 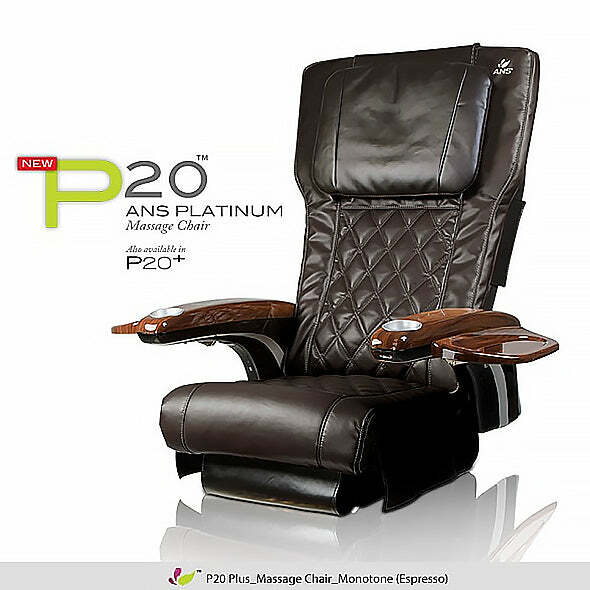 The ANS Tivoli also includes a premium ANS massage chair of your choice. 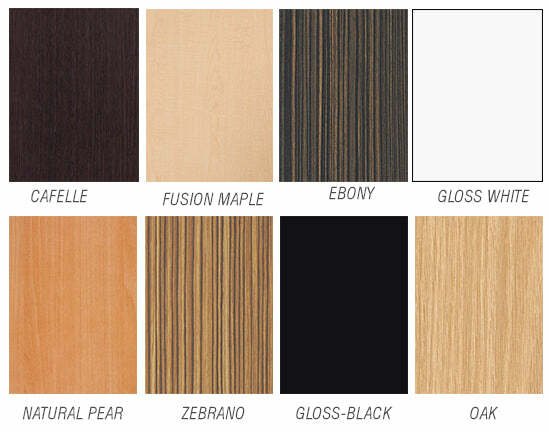 The ANS Tivoli is custom-made and custom-built with your choice of custom wood-laminate colors. Each ANS Tivoli includes two laminate colors: one color for the front of the basin and a second color for the back part of the basin. The ANS Tivoli includes a fiberglass sink bowl of the color of your choice (Jade, Gray, or Cappuccino). Each sink includes a protective gel-coating that guards against rust and corrosion to help extend the life of your spa. The beautiful and modern Tivoli is a customizable wooden pedicure spa handcrafted by our expert carpenters following your details and specifications. This luxurious pedicure spa is custom-made and custom-built with your choice wood laminate colors. For quality assurance, each Tivoli pedicure spa is designed and assembled here in the USA. Even more, the Tivoli is ETL-certified for safety and is carefully tested by trained technicians before leaving our location. The Tivoli is also equipped with the exclusive ANS Liner Jet that provides the soothing whirlpool effect that customers love. 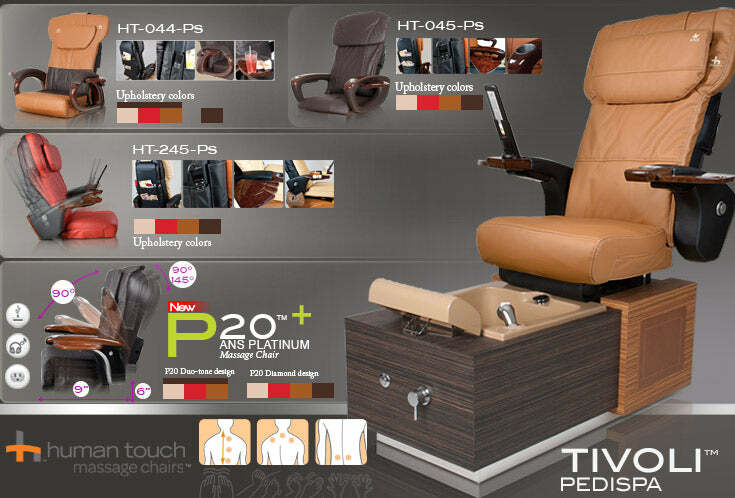 In addition, each Tivoli pedicure spa includes a premium ANS massage chair of your choice. The iFill2 is an optional spa control system that can be installed on your pedicure spa. This innovative system integrates command functions for you pedicure spa; very popular with busy and upscale salons.